This holiday season I decided it was time to step out of my comfort zone and have some fun experimenting with my hairstyles. I&apos;ve had no shortage of events and parties this month and with more to come, I thought it would be cool to show up at these shindigs with some looks that are different than my usual flat ironed tresses or natural waves. Just adding a little something as small as a braid can take your hairdo to a whole other level. So, I did a little research and found a slew of holiday ready styles and tutorials to go with them from some fellow bloggers. I don&apos;t know about you, but I need step by step instructions, so I appreciate bloggers who really spell it out! I also asked my stylist friend for product recs to go along with my preferred styles, so I could recreate them for myself. And now you&apos;ll be able to recreate them too! 1. 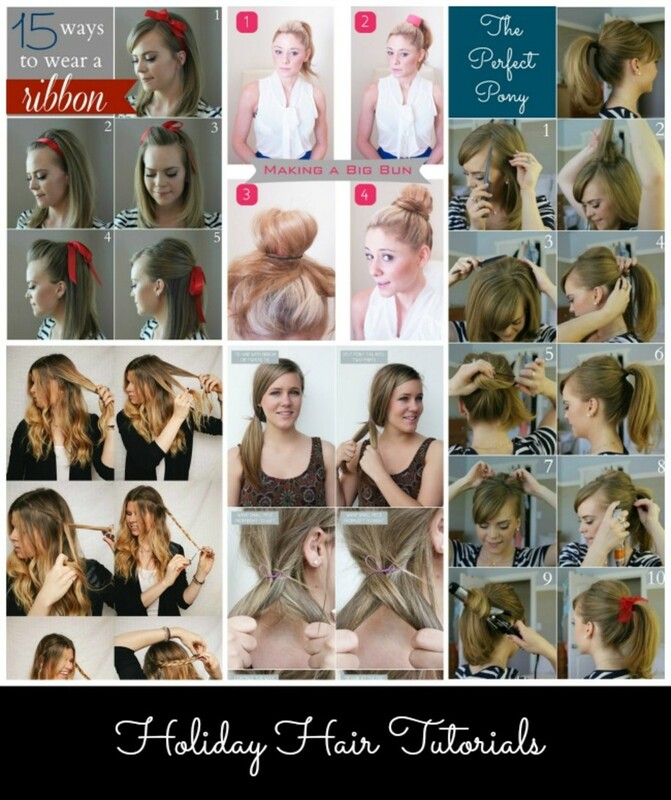 Fishtail Braid: This style has been a big one in the blogopsphere. I finally had the chance to try it out earlier this fall and I&apos;m a total convert now. I found a thorough, yet easy tutorial over at Kristi Murphy&apos;s blog that makes what looks like an intimidating style feasible. Pomade is a great product to use for this style. For braids, you don&apos;t want slippery hair, so pomade like Biomega&apos;s Text Me Flexible Taffy helps create some traction. 2. 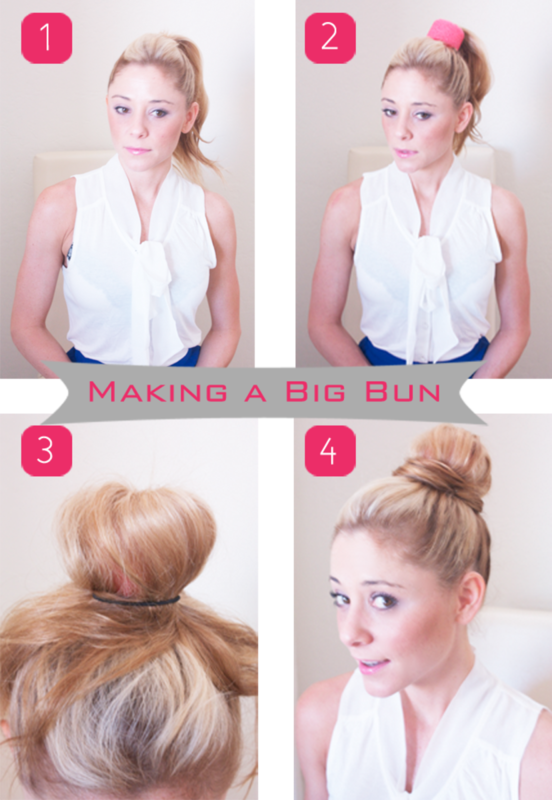 Bun: A classic bun never goes out of style in my book. Head over to Kristi Murphy&apos;s blog to find out how to recreate this one. Hair spray like Aveda&apos;s Witch Hazel hairspry will help keep this chic look stay put! 3. Half Up Crown Braid: I pretty much love braided anything these days. Who&apos;s with me? This half braided &apos;do from A Cup of Jo is simply divine! Pomade would be useful with this braided look too. 4. Teased Pony: There is nothing cuter than a ponytail and this thirty something mama is still rockin&apos; them! I love this flouncy teased pony from My Soul is the Sky! For this look, volume foam like Biomega Up All Night Volume Foam will help you create the "second day" hair that makes creating teased ponies easier. Hair spray will keep the height you created with teasing stick around. 5. Teased Crown with Ribbon: As you can see, I&apos;m loving ribbons. Since my sweet lil&apos; lady bean still doesn&apos;t quite have enough hair to rock a hair bow this Christmas, mama will have to. Haha! My Soul is the Sky has a bunch of cute ways to wear ribbons! I particularly love the teased crown. It&apos;s so Sandy from Grease!